We are a local non-profit dedicated to providing financial assistance to men and women for their preventative healthcare, as well as to those requiring treatment and additional procedures. We are IN the community, FOR the community. Our services are reserved for Elko County residents only. Sometimes it can be hard to acquire necessary services and financial assistance in our area. We are here to help with that. We are always looking for individuals and businesses in our area to get involved. Donate today! 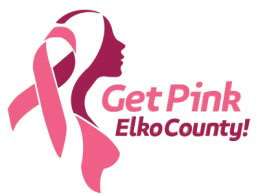 One hundred percent of all donations are used for helping men and women in Elko County. Any donations or funds are appreciated. WE ARE A NON-PROFIT (501(C)3) LOCATED IN ELKO COUNTY, NEVADA. Get Pink is here to help those in need of financial assistance for the cost of their healthcare. Many men and women do not have the funds to pay for their necessary healthcare exams. With your help, together we can change that!